Known as 'God's Own Country' , Kerala is a relaxing contrast to other Indian states. 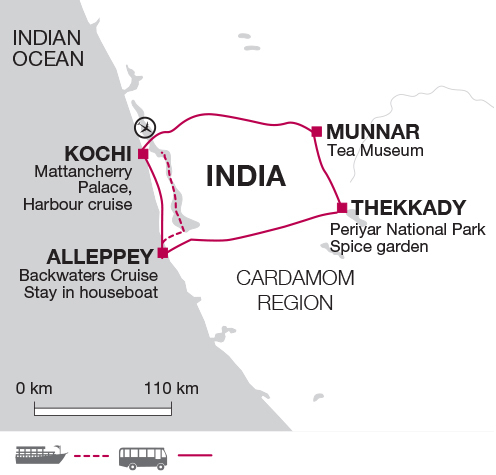 Explore tea and spice plantations, learn about colonial influences in Kochi and immerse yourself with an overnight houseboat cruise and a stay in a family-run homestay. Munnar - Drive through vast plantations and learn about tea and spice production in cool climates. Why not extend your holiday with some time on the beach at Kovalam, or with a trip around the paradise island of Sri Lanka? Or perhaps you'd like to visist Sri Lanka and The Maldives after your time in Kerala?